We are leading manufacturer and supplier of Fiberglass Doors and Frames manufactured with premium quality material. 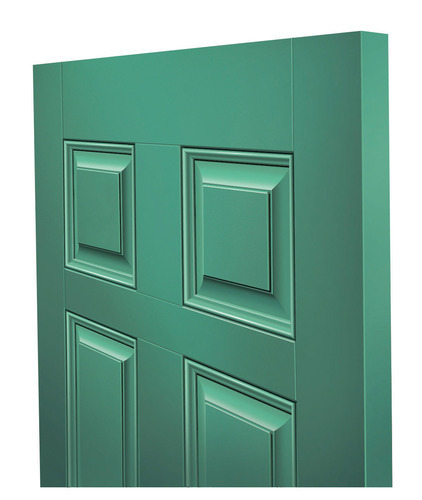 Utilized particularly in bath rooms, these doors are a very good substitute for wooden doors. With an expertise in the domain, we, Ventura Fibre, are engaged in Manufacturing and Supplying of a comprehensive range of FRP Products, Industrial Fiberglass Products, Fiberglass Reinforced Plastic Products. Our products are known for their features like durable finish, strength, light weight, corrosion resistance, and fire resistance. Our range of products includes FRP Manhole Cover, FRP Pipes and Fittings, FRP Ladders, Fibreglass Ladders, FRP Acoustic Enclosures, FRP Office Cabins, FRP Scrubber, FRP Roofing Sheets, FRP Ventilators, FRP Hosing, FRP Dust Bins, Fabricated FRP Lining, MS Tank FRP Lining, FRP Fire Hose Boxes, FRP Gutters, FRP Rain Water Gutters, FRP Dosing Tank, FRP Filter Tank, FRP Lining Tank, FRP Septic Tank, FRP Pultruded Gratings, Ductile Gratings, Heavy Duty Gratings, Electroforged Gratings, Stainless Steel Gratings etc. These are widely used in Chemical, Civil, Mechanical, Electrical and Automobile Industries. To provide utmost satisfaction to our clients, we also undertake Site Fabrication, Installations, Inspection and Repair Work as per their specific requirements. We are looking forward to cater the best services to our clients in future as well. Owing to our superior quality products and excellent services, we have been able to create a strong client base, which includes reputed builders and contractors in Government and Private Sector. We are looking enquiries from All over India.